The Serbian Armed Forces (SAF) defend the country from external armed threats and perform other missions and tasks in accordance with the Constitution, laws and principles of international law governing the use of force. The missions and tasks of the Serbian Armed Forces are defined by the Defence Strategy of the Republic of Serbia, and are based on the inalienable right of the Republic of Serbia on individual and collective defence, in accordance with Article 51 of the Charter of the United Nations and fundamental principles of the international law governing the use of force. The missions of the Serbian Armed Forces are (1) defence of the Republic of Serbia from external armed threats, (2) participation in building and preserving peace in the region and the world and (3) support to civil authorities in combating security threats. Organization of the Serbian Armed Forces matches the extent of threats, resources, missions, tasks and international standards. The organization also determines the fundamental principles, type of armed forces, functional and organizational structure and command. The Serbian Armed Forces develop their own training and logistics system, resting on the resources available in the country. The Armed Forces are structurally divided into arms of service, branches and services, and functionally organized into commands, units and institutions, at the strategic, operational and tactical level. At the strategic level, the Serbian Armed Forces are commanded and controlled by the President of the Republic, the Minister of Defence and the Chief of General Staff of the Serbian Armed Forces. At the operational level, arms of service commands, Training Command and other operational commands, with the organization adapted to the organization of the General Staff, are in charge of command and control. At the tactical level, command and control are executed by the brigade commands and commands of the units of the equal level with the organization adapted to the commands of operational level. Arms of service are integrated organizational entities of branches and services which are relatively autonomous in their combat actions on the land and in the air. Arms of service in the Serbian Armed Forces are Army and Air Force and Air Defence. Branches of the Serbian Armed Forces are infantry, armour, artillery, engineers, artillery and rocket units for antiaircraft defence, aviation, river units and electronic warfare units. 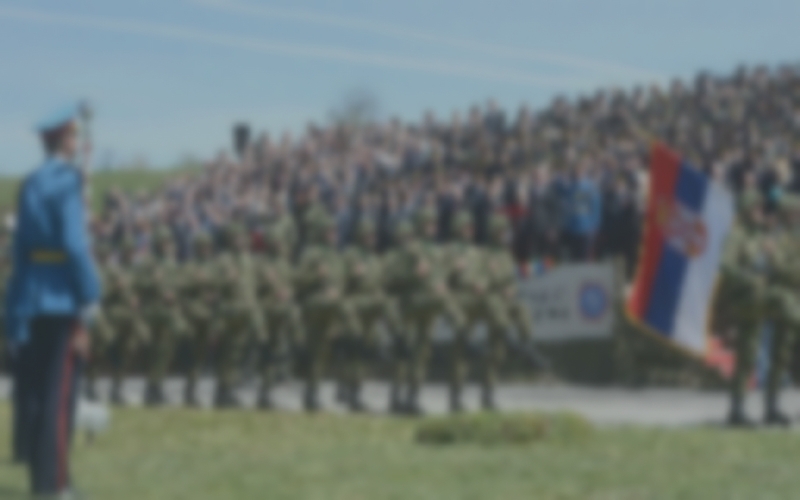 Services in the Serbian Armed Forces are divided into general and logistic. The general services are personnel, telecommunications, air surveillance and early warning, nuclear-biological-chemical (NBC), intelligence, security, information, geodetic, meteorology and navigation, finance and legal affairs. The logistic services are technical, quartermasters, traffic and transport, medical, veterinary and construction. Serbian Armed Forces consist of permanent and reserve forces. Permanent forces of the Serbian Armed Forces comprise professional members of the Serbian Armed Forces and soldiers doing their military service. Reserve forces comprise reserve officers, NCO's and soldiers. Reserve forces of the Serbian Armed Forces are divided into active reserve and passive reserve. Serbian Armed Forces take a neutral position concerning different ideologies, interests and politics.